When I go on trips, I usually don’t do a ton of book reading. And that’s pretty unfortunate. There have been a few times that I’ve coincidentally read a book or two (fiction or non-fiction) set in my destination, and I enjoyed my trip so much more! 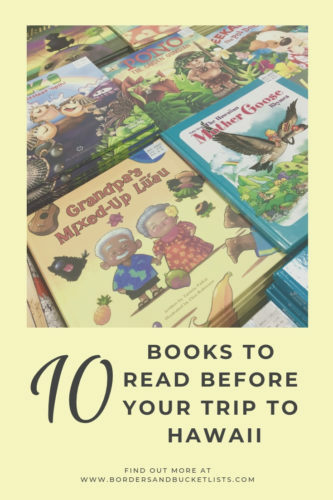 So to help you make your trip to Hawaii more enjoyable, here are 10 books about Hawaii to read before your trip over! This cute little story is about a local grandpa who is a little bit hard of hearing. That means that every time his wife asks him to get a necessary item for the luau they’ve planned, he messes up! How will the luau turn out? You’ll just have to read the book to find out! *Bonus: learn a little bit of the local lingo while reading this story! Or if you want, I also have a post about it. Pono is a mischievous little Menehune – sort of like a mythical Hawaiian elf – who lives in Mrs. Miyamoto’s garden and plays tricks on her. When Mrs. Miyamoto gets hurt because of one of Pono’s tricks, will the little Menehune change his ways? Opihi (called “limpets” in English) are small shellfish that grasp onto the side of rocky shores. But one little opihi named Iki doesn’t want to stay on the rocks. He wants to explore the ocean! 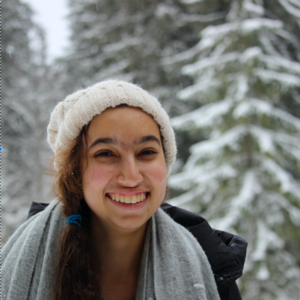 Find out what little Iki ends up choosing to do! This is likely the book on this list you are most familiar with, because it was turned into a movie starring George Clooney and Shailene Woodley. Both the book and the movie tell the story of the King family – the descendants of Hawaiian royalty – through the struggles of today’s world. How will they navigate the difficult situations they encounter? And, more importantly, how will their important ancestry play a role? One of the most iconic creatures of Hawaii is the honu, also known as the Hawaiian green sea turtle. This information-filled, yet understandable book explains the behaviors of Hawaii’s beloved honu in depth and even gives tips for their long-term conservation. Let me just say, this book is fantastic. Why? Because it was written by a literal KING of Hawaii. Yeah, you read that right. A KING OF HAWAII, Kind David Kalakaua, wrote this book on the islands’ legends and myths. Can you get any more authentic? Not really. So it’s definitely worth dropping a few bucks to learn about Hawaii’s entertaining myths and legends from the best of the best. I’ve mentioned this book so many times in my posts. It even made it onto my list of the best gifts from Hawaii! This compilation of words from Hawaii’s dialect known as Pidgin is filled with cartoons and humor. 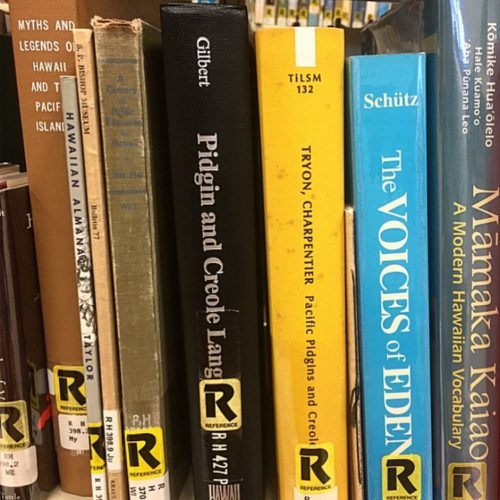 Out of all of the books on this list, this one is the book that is most likely to give you a glimpse into modern-day local culture in Hawaii. 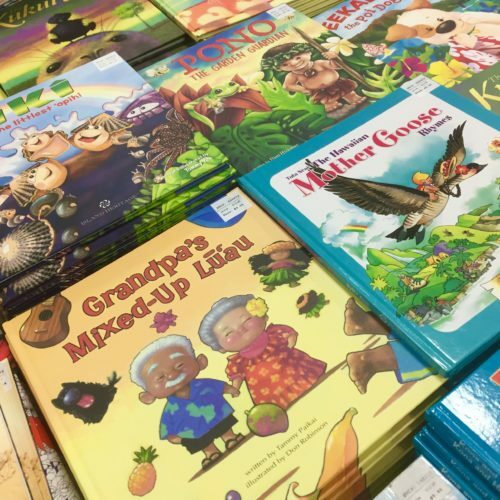 Named after one of Hawaii’s smallest islands, Molokai: A Novelis a story of a young Hawaiian girl who dreams of travelling across the globe, just like her father. However, one day, she is diagnosed with leprosy and sent to the (real, still-functioning) leprosy settlement in Kalaupapa on the island of Molokai. From this fictional book, discover true facts about Molokai’s rather unknown past and present. Oahu Revealed has long been the most popular Oahu guidebook. It covers every nook and cranny of the most popular Hawaiian island. The one bummer is that the book hasn’t been updated since 2012. So while the beaches and hikes will likely be the same, the restaurants and shops may have changed. Unlike the Oahu Revealed guidebook, Frommer’s Hawaii 2019 covers all of the Hawaiian Islands. With everything you could want or need to know about Hawaii in 2019 – from hotels to stay at to hidden island food joints – you can’t go wrong with Frommer’s Hawaii 2019. If you enjoy supporting local authors, why not support local sustainable businesses in Hawaii while you’re at it? Thinking about buying one of these books about Hawaii later? Or did you maybe just find this post interesting? Pin it for later!